I have acquired a new laptop/netbook, a Lenovo X201. My initial reactions are positive. It runs Debian better than my old Dell laptop does (see my Debian on Dell Precision M65 writeup). The rest of this article will be devoted to notes and information about running a GNU/Linux system on the Lenovo X201. Audio Intel 5 Series/3400 HD-Audio OK ? Fingerprint Upek USB ID 147e:2016 ? I’m also using a Gemalto GemPC ExpressCard smart card reader, but it was not included in the laptop. For reference, this laptop was labeled “3323” and “NUSRCMS” from the reseller. It included the UltraBase X200 as a combo. The installation was unexciting except for software bugs that were easy to work around and that I expect will be resolved eventually. For more information, see my installation report. It also contains “lsusb” and “lspci” output if you are curious about hardware details. The Intel graphics is working fine, both the internal TFT and the external DisplayPort. I’m driving my Dell 2405FPW (DVI) to 1920×1200 without issues. Cycling through monitors with Fn-F7 works out of the box. Wired ethernet via X200 UltraBase in Gigabit speeds works. The UltraBase do not appear to contain another ethernet card, it is just another ethernet socket for the internal ethernet port. When the machine is docked, the internal ethernet port does not work – ethernet is redirected to the UltraBase ethernet port. I have tested bluetooth for file browsing and connecting to the Internet via my Nokia N900. The memory card reader handled a SD card fine, haven’t tested other formats. The ExpressCard54 slot handles my GemPC Express smart card reader without issues, together with pcscd and GnuPG. However, the mechanical button used to eject cards is poorly made and does not handle the force required to eject the card. Suspend to RAM+Disk is working fine, and the special keys Fn+F4 to suspend works. I’m able to hotplug connect to the UltraBase docking station. Fingerprint reader is not yet tested. [   85.017887] hda-intel: IRQ timing workaround is activated for card #0. Suggest a bigger bdl_pos_adj. The built-in Intel Centrino 6300 does not work without non-free software installed. Workaround: Download the 9.221.4.1 firmware from Intel Linux Wireless and unpack the file to /lib/firmware. With this installed, it is working reliable and handles suspend fine. An older version of the firmware is available in the firmware-iwlwifi Debian non-free package. There is a kernel patch to enable the GPS USB devices. I haven’t tested it. Now network-manager should automatically detect it and query you for PIN code etc. 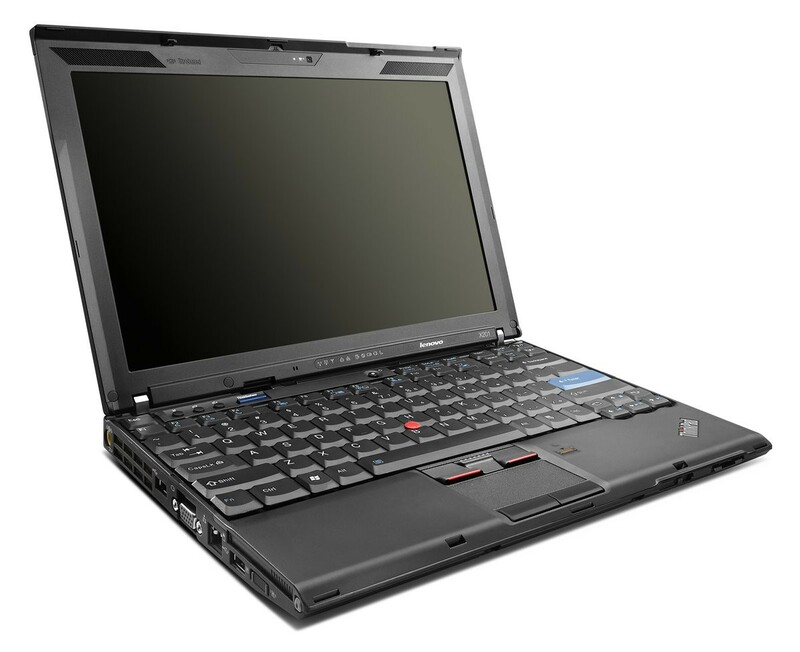 This entry was posted in hardware and tagged debian, laptop, lenovo, x201 by simon. Bookmark the permalink. Awesome stuff dude. It’s too bad that not everything works but I hope that in time this will get fixed. Thanks for the post. I believe they are referring to replacing the firmware stored in persistent storage in the network card — there is no firmware blob coming from Debian userspace to the ethernet device on my laptop, as far as I’m able to tell at least.